BEHIND EVERY BEAUTIFUL WOMAN IS A HAIRDRESSER THAT LOVES HER. Justin’s is your “one-stop-salon” for some self indulgence. Spoil yourself with one or a few of our many treatments. Happy to greet you and your family at Justin’s. At Justin’s, we understand that busy schedules don’t always allow for an advanced booking. So just feel free to drop by whenever you want and we will take care of you. Our hair team works with the world renowned "Paul Mitchell" products & colour technology. Innovation is key to our team and we offer everything from the "classic cut" to soft treatments for tired hair and then stunning "fresh" restyles. We will shape whatever style you require. In the beauty salon, you can get your eyelashes done. Longing for extensions or do you prefer a more natural L.V.L.? Justin’s has got you covered. Fancy some Ayurvedic facial, relaxing massage or waxing. We do it all. 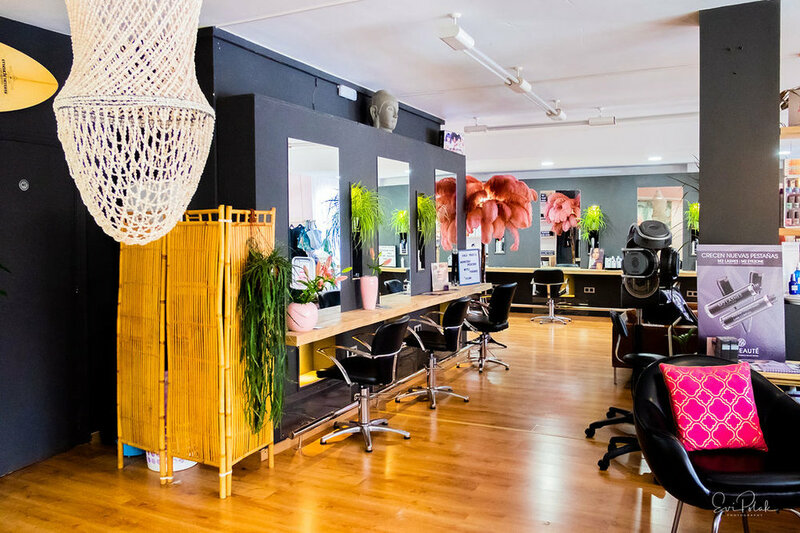 We also have a top class nail boutique, where all your maintenance will be met, from Luxury spa pedicures to the service of our in-house chiropodist. And we have the famous Jo Carlslisle in the house.